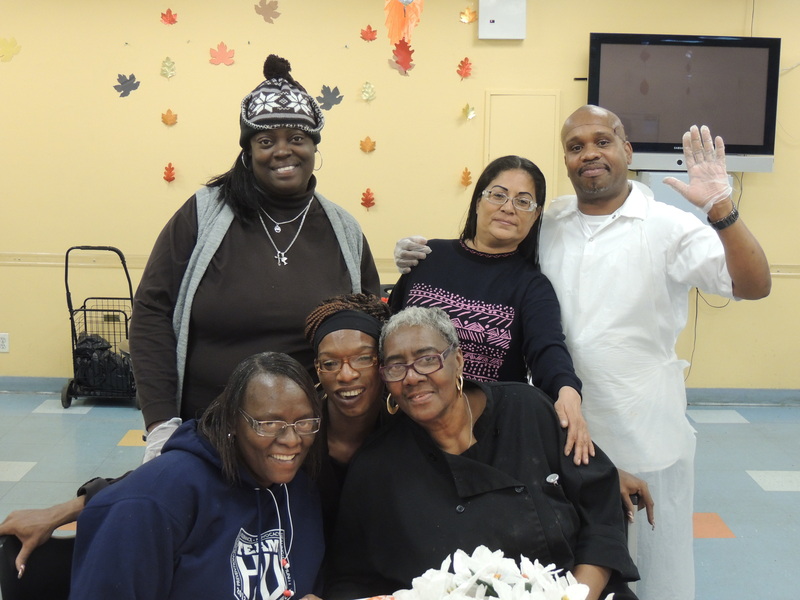 Last week we held our annual Thanksgiving Litany at the Baptist House of Prayer of Harlem. Every year we invite our clients and staff to come and reflect on their year, to share their successes and their losses, and to spend time with each other in a joyful environment. After the nondenominational service, everyone was invited for a Thanksgiving lunch served by Harlem United’s leadership. This was a wonderful moment for staff and clients to spend time together in a way they do not usually have a chance. This meal might be the only Thanksgiving meal they will have, and we are happy to be able to provide it. But we also want to give our clients the chance to make a Thanksgiving meal for themselves, their family or their friends…that’s why we are giving Thanksgiving gift cards from a local grocery store to our clients. Many of the people we serve struggle daily with getting enough to eat, and this year, as we head into the holiday season, we focus on food and feeding people who are hungry. Will you give a Thanksgiving gift card to one of our clients so that they can celebrate the holidays? We know that nutritious food, and enough of it, is necessary for good health. Won’t you help us to ensure that those we serve have enough to eat this holiday season and beyond? Please make a special gift today by clicking here and then please share it with your friends and family. Together, we will provide an extra serving of hope, health, and healing this holiday season. 1 Reply to ""People come here rock bottom" — find out why they stay"